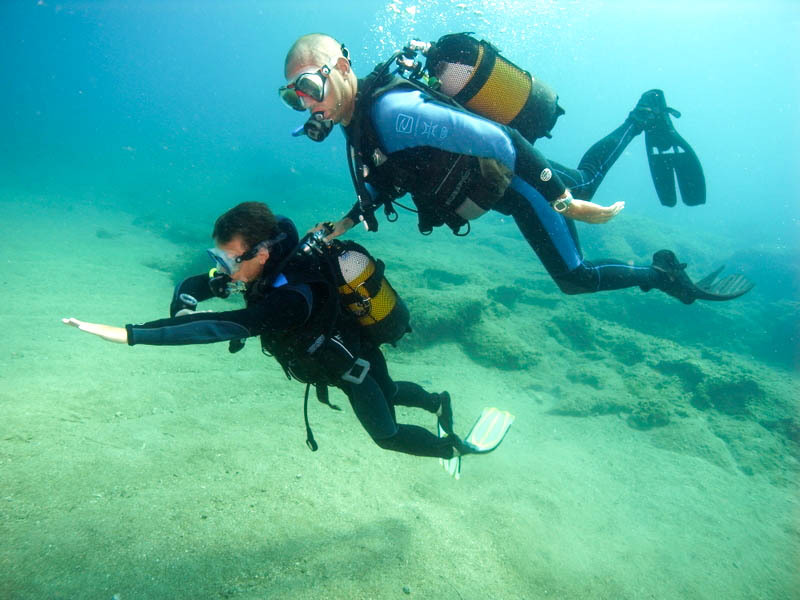 I had come across a few people who had gotten their scuba diving certificate while backpacking. It’s always been something that’s fascinated me when I hear about it but it never crossed my mind that I would have the chance to do it myself and I especially didn’t expect to get certified. Like I explained in my previous post, this decision was out of the blue but full of certainty right away. After speaking to Chloe, I was moved. How could I possibly walk away and not try it for myself? I would regret not taking the opportunity… even more so if it was out of fear. I had a lot of fears. I worried about running out of oxygen or having it disfunction. I worried about my ear drums bursting or getting tangled in an underwater plant. I think it revolved around the fact that I would be relying on a backpack and a cylinder to keep me living. It didn’t seem overly stable. 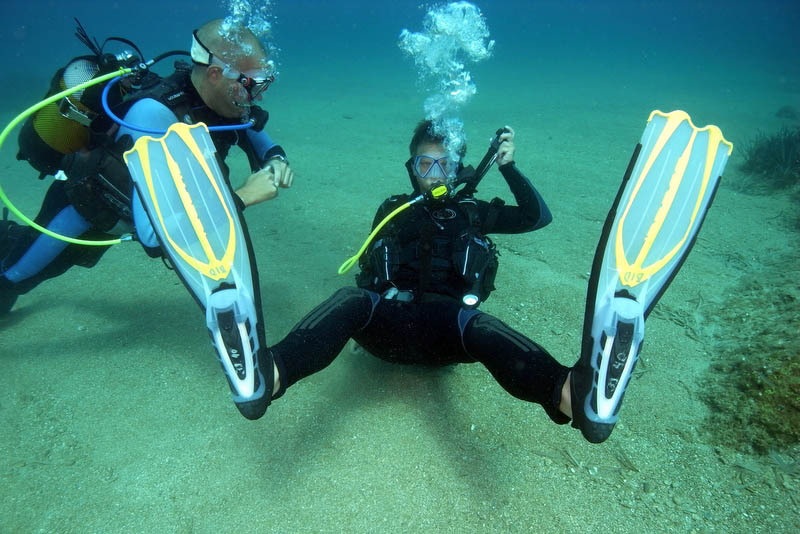 On the other hand, I’ve only heard amazing things about diving. There’s an entirely different world down there filled with beautiful sea creatures and a magical silence. I wanted to see it for myself and through all the fear, it was exactly that which drove me to book a space. I wanted to do something that scared me. I wanted that thrill and uncertainty about what may be waiting down in the deep ocean. It’s a really incredible feeling to take a risk and isn’t that one thing I’ve been keeping in mind this entire time? Take those risks and go for those opportunities because they may only come knocking once. I was thankful to get a space with Andy and took a short bus ride and a ferry to reach the island of Antiparos. I began to get giddy when I spotted the sign for Blue Island Divers. It was a small office located above a family tavern and I knew going in that this business was family run as well. A bunch of men were sitting around a table and one of them jumped up right away when he saw me. He introduced himself as Andy and laughed when I told him about Chloe’s enthusiastic recommendation. Around the table was Andy’s brother Gary and his Father Bob as well as a diver there for the summer named Alex. I liked that they were so personal with their customers. I knew I was going to learn so much from Andy right away. He had a great energy about him. He lead me into his office and handed me a text book with five chapters. We created a schedule and he told me to read as much as I could before my first day. I felt like I was back in school again! I expressed my minor feeling of nervousness (that had dissipated greatly by that point) and he told me I already had a huge step ahead of Chloe and would be entirely fine. I trusted him, remembering Chloe’s words of encouragement and walked away with a huge smile on my face ready to start the next day! 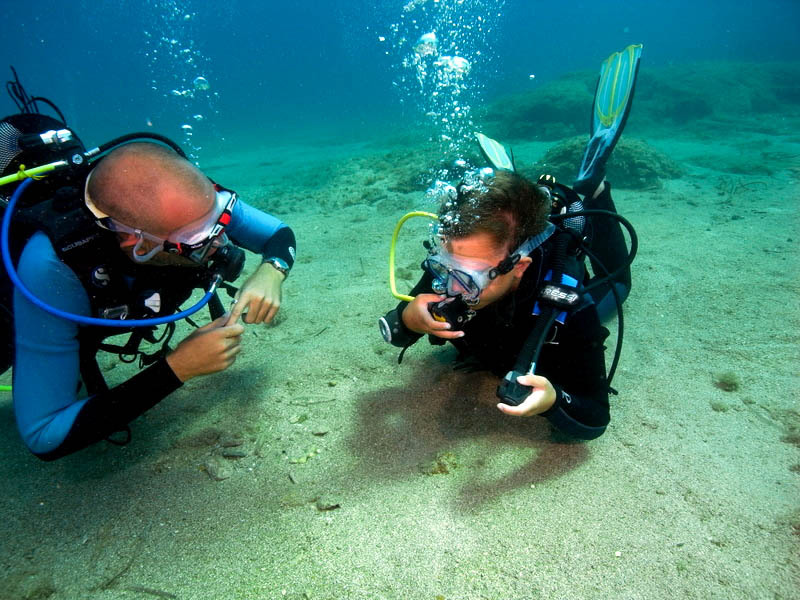 Did you know that Mr. Tom Hanks has a summer home in Antiparos and has done dives with Gary? Just another tidbit that secured my trust in this diving centre. It must be reliable! The course lasts for four days. I was told I would be working with someone else getting the same certificate but had no idea who to expect. I walked into the classroom to see a little twelve year old boy who told me his name was Arris. He’s from Greece and his family stays in Antiparos for the summer months. I was comforted by the fact that I would be diving with someone so young. It just made me feel even more confident that I was capable of doing this as someone who was seven years older. Maybe acting as a bit of a role model would help take away my anxiety. The first day consisted of watching a series of pretty dull videos that just summarized everything I had already read in the book. I was a bit eager and got a head start that night. It was all pretty interesting to me. There is a technique to absolutely everything you do down there and a solution to every problem, as there should be. I acted as a bit of a motivator for Arris who was having a lot of trouble sitting still as the overly perky voice on the video spoke about bottom surface times and pressure gauges. Not to worry though, we were thrown into the water on the first day! We picked out our equipment and piled into a jeep headed to a dive site called Mick Jaggers Lips. 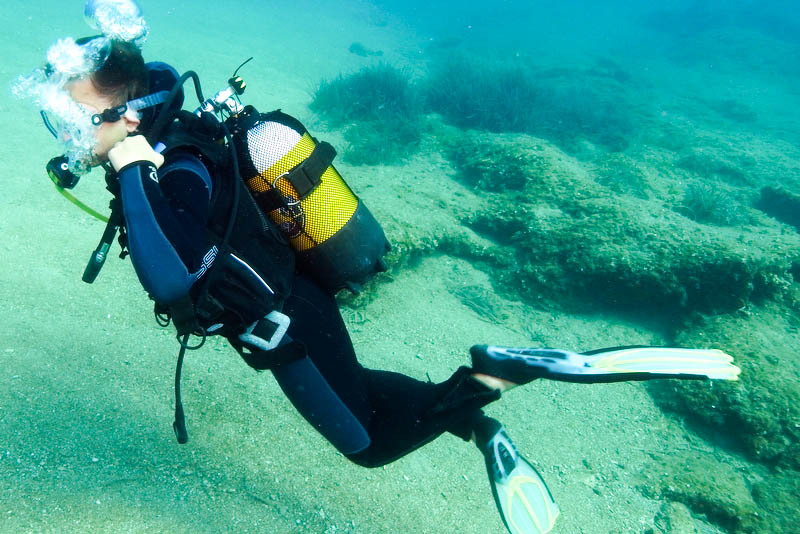 Andy taught us how to assemble our tanks and BCD’s which are the backpacks that hold the cylinders and act as as our life jacket, filling with air on command. The book described the gear as awkward which couldn’t have been more true but they forgot to mention how heavy it was! Once I squeezed into my wet suit, put on my pack and applied five weights to my waist, I was seriously wondering how I was going to stay suspended and not sink to the bottom and stay there. I waddled to the side of the concrete dock and looked down. It was hard to believe that I would soon be five metres below the surface for twenty five minutes time. All there was left to do was jump. It’s a big moment breathing underwater for the first time. At first you have trouble trusting your regulator. It’s just like a mouthguard attached to a hose that you bite down on. But after a few breaths, you realize that it works and I will never forget those first special moments. All the fears I had before I started disappeared completely. I’m pretty sure I outwardly gasped with excitement. As soon as I saw the first swarm of vibrant blue fish swim past me, I did what everyone told me I would. I fell in love. We started slow and shallow, learning new skills each day and practicing crucial ones multiple times. Remember, we weren’t able to speak to each other underwater. We relied on hand signals as our form of communication. I was blown away by how smoothly our interacting went while using the signals. Whether it was a congratulatory grip of the hand, a praising OK sign or even a happy dance from Gary, I was rarely confused about anything they were trying to tell me. Andy really was a brilliant teacher. He was calm and patient when I struggled with any skill. It all seemed to come pretty easy to me except for one particular skill with the mask. 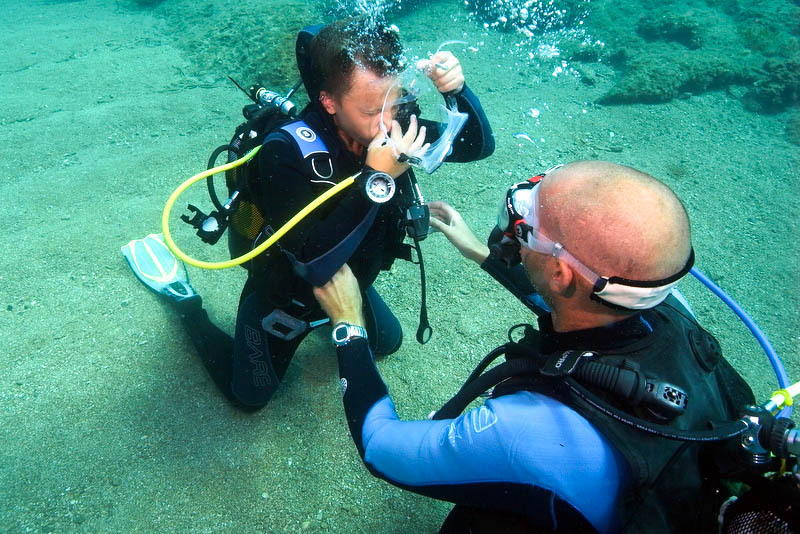 While underwater, we were told to fill our mask completely with water and then drain it out by breathing out our nose and tipping our head to the surface. Doesn’t that sound simple? Never for a second did I think it would bug me but it really caused me to panic. The first time I tried it, I had the immediate reaction to breathe through my nose which lead to me sniffing in a huge amount of burning salt water. That caused me to spit out my regulator, inhale a mouthful of water and then thrash rapidly and bolt for the surface. Bad, bad instincts. 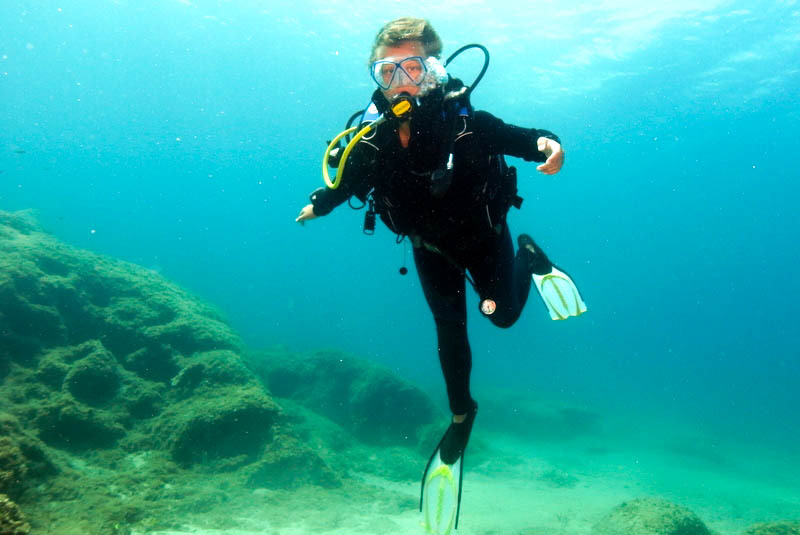 The number one rule in diving is NEVER STOP BREATHING. This can cause your lungs to expand and well..the rest is self explanatory. Rising to the surface quickly can also cause serious health problems so I was doing everything wrong. I wasn’t staying calm. Gary was the first to experience this and Andy went through it with me when we dove twelve metres. Both of them were calm and held me in one place while they supplied their emergency air. I was traumatized after the first run but oddly enough, I wanted to do it again. I was driven to get it right. I did the task imperfectly a few times, draining out the water but still coughing a choking in the process. As soon as I learned to keep my head facing toward the ground and plug my nose whenever I could, it became easier and easier with each try. Andy was consistently patient as I tried over and over until I was able to do the task with my eyes closed. Literally. I was even able to take the mask off completely, swim a few metres and put it back on by the end of my classes. That feeling of accomplishment was priceless. It was something I feared and I was able to make it past that. Our deepest dive was twelve metres (although I am certified to go as deep as eighteen) and we took a boat to the middle of the ocean to get to our site. 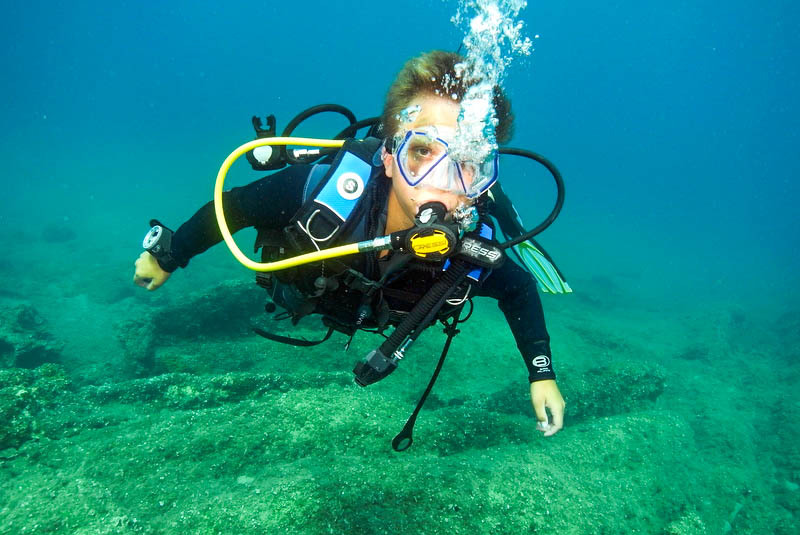 I loved the deeper dives because it was harder to see the surface and you really felt like you’d been thrust into a different world separate from the rest. It was amazing to listen to the sounds of the ocean and know you were listening to nature taking its course. 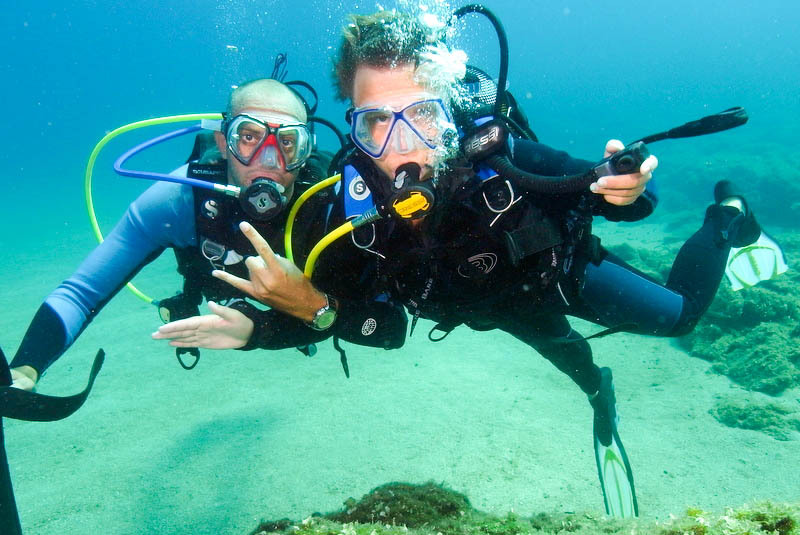 Andy and Gary always did their best to point out any sea creatures along the way and remind us where we were by twirling around and opening their arms to our surroundings as if to say “well, it can’t get much better than this.” I took several moments to admire this beautiful world. I appreciated it for everything it was worth. If I didn’t think the world was huge before, I surely did now. You guys, the world is so, so, so big. It’s full of things you can’t even imagine on the surface. Below, it’s full of even more. I twirled around and took deep breaths in and out, still shocked by my ability to do that. It kept on hitting me over and over again. Our planet is really cool. Before I knew it, I had blinked and it was my last day. 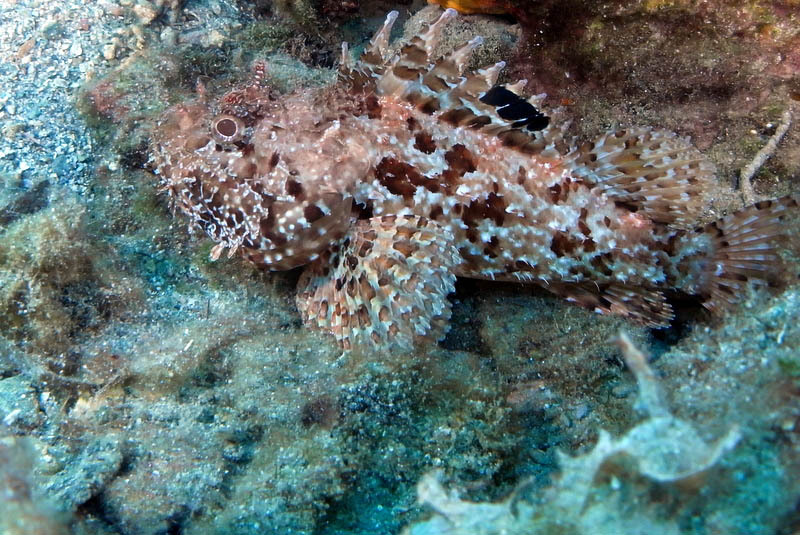 Arris had become quite ill so I was all alone and without my buddy for our last dive. Andy’s father Bob tagged along to take the photos I requested and we piled into the jeep one last time. This dive was my favourite by far. Without even realizing it I was assembling my gear like I had done it my entire life. Andy said nothing as I prepared myself for the jump in and executed it without question. At this point, I was eager to dive every day. I couldn’t get enough of it! The three of us signaled down and entered my new favourite place. We worked with the compass and demonstrated a few other skills before doing the mask skill for a final time. I was able to do it calmly and perfectly! A huge feeling of success swept over me as I realized: that was it. 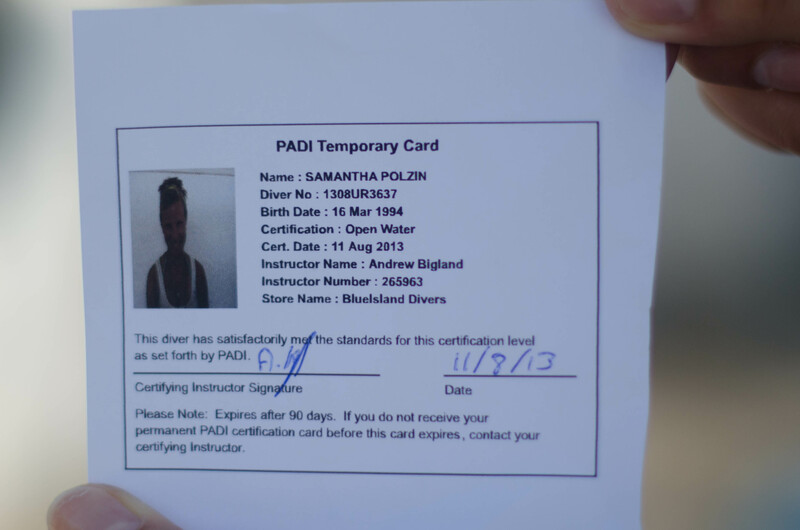 I had completed all I needed to do to become a diver. I had passed my final exam the day before (with flying colours. Don’t mind if I do!) and mastered the things that scared me. I had reached a point where I was doing these things without being told and saw how it all seemed to come together. The best part about learning is just that. It’s the moment where you realize why. It was time now to take a swim through the reef. Bob and Andy pointed out several creatures and we took our time looking at them along our way. 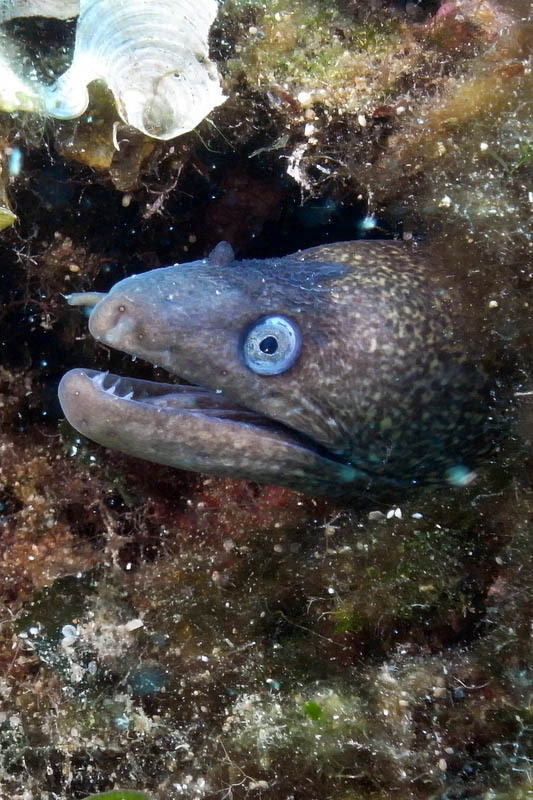 We saw an octopus stuck to the side of a rock, an eel who had dug himself a little hole and poked his head out to see us. 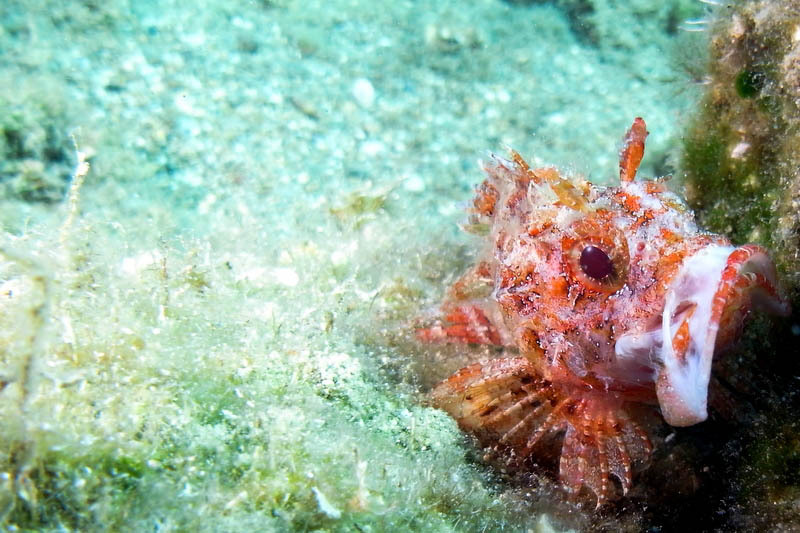 We witness families of very bright fish and a single scorpion fish that blended itself into its surroundings. My favourite was a small, caterpillar like creature that had hundreds of little red legs. When you move your finger close to it, it defends itself by puffing up and all its legs turn white and look furry. Andy and I hammed it up for the camera and I took it all in for the last time. Things are very peaceful under the sea. Everything works at its own pace and time disappears. Our twenty five minute dive felt like five. When we rose up, I realized we were on a beach. It occurred to me right away that these people didn’t have a clue what was below them. How funny it was to think that most of them probably turned a blind eye to the life just beneath their feet. I can’t thank Blue Island Divers enough. They gave me an incredible four days and one heck of a learning experience. It’s safe to say that I will be anxiously awaiting new dive sites when I head to Thailand in November and will be seeking out several on my future trips! Thank you for showing me this beautiful treasure!